This past week has been just as wonderful as the first. On Monday, after working hard at The Huffington Post, Julee took me on a trip down to Real Simple Magazine, her old stomping grounds! She showed me the ins and outs of the office floor where she built her writing career and introduced me to many of her old coworkers and friends. After that, we went out to dinner and talked the night away. Needless to say, I was burnt out the next morning. After staring at a computer screen for seven days in a row, my eyes felt like they were going to burst. It was a relief to go out to lunch and take a break from the office, but the major treat was eating with Julee and her husband! The three of us went out for ramen and talked about our writing lifestyles, both Julee’s as a journalist, and her husband’s and mine as aspiring authors. While I love writing for The Huffington Post, it was nice being able to talk about creative writing with a fellow science fiction fan. The following day, I sat in on a phone interview with the singer, Santigold (Fun Fact: She went to Germantown Friends School; go Quakers!). After listening to her talk with Julee about her new makeup line, I was given the assignment to transcribe the conversation. Essentially, it took me the whole morning and part of the afternoon to listen to a 20 minute recording and to type up Santigold’s responses word for word. Sure, it was a time-consuming task, but it was well worth the experience. As for yesterday, the main highlights were meeting two very important people. The first was Jimmy Soni, a managing editor of The Huffington Post and basically Arianna Huffington’s right-hand man (he started this job at 26 years old!). His accomplishments include becoming one of Forbes 30 under 30 and getting his book Rome’s Last Citizen: The Life and Legacy of Cato, Mortal Enemy of Caesar published. Mind you, he’s still only 28! 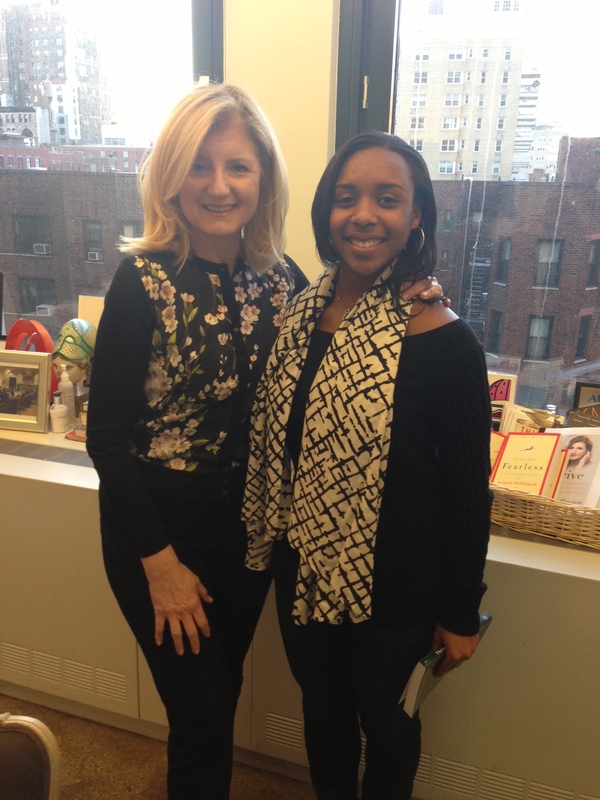 After him, I met Arianna Huffington herself and received an autographed copy of her new book, Thrive: The Third Metric to Redefining Success and Creating a Life of Well-Being, Wisdom, and Wonder! Working at The Huffington Post has been amazing and I can’t believe how quickly it’s coming to an end 😦 . If I could spend another week or two here, I most definitely would. But since that’s not possible, here’s to making the most of my last day!